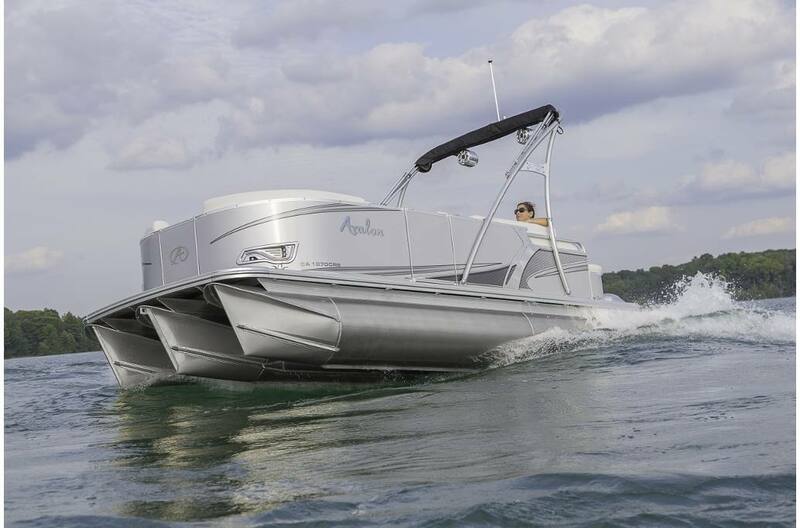 This In Stock Model Is Powered By A New Honda BF60A1LRT Outboard Motor That Moves Swiftly On The Water! This Boat Is A Perfect Platform for Small Lake Fishing. 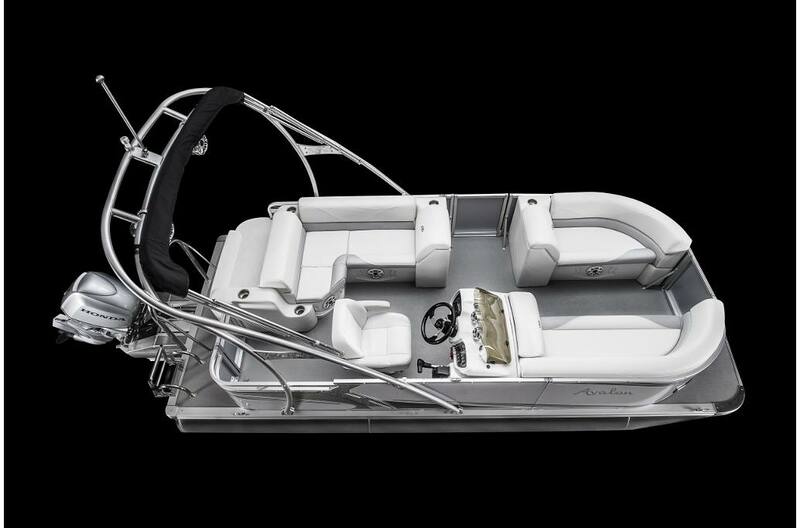 Options Included With This Package: Black Walls w/Chrome Accents and a Buckskin w/Neutra Interior, Shore Vinyl Decking, Low Back Reclining Commanders Chair. 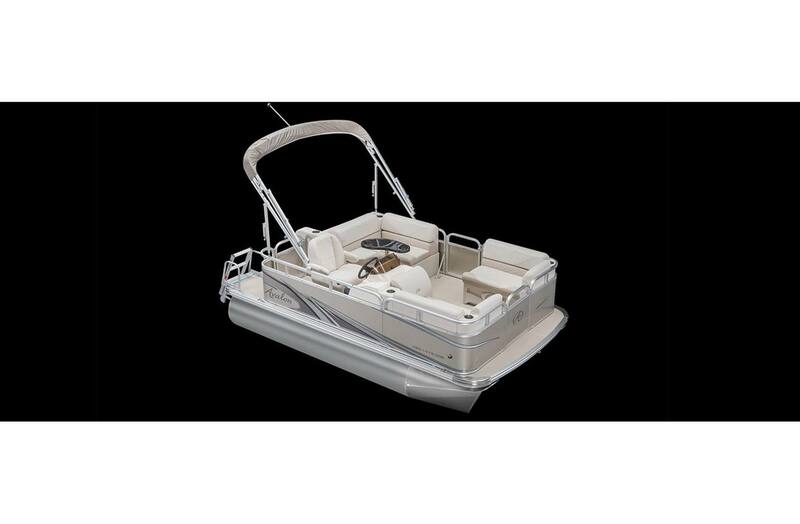 Be Comfortable Under The 8 Foot Bimini Top. Additional Options Include: Mechanical Steering, Low Back Reclining Commanders Chair, Seat Covers, Fire Extinguisher, Chrome Spoke Steering Wheel, Chrome Navigation Lights, Infinity Bluetooth Stereo w/4 Speakers, Garmin Striker 5CV Depth-Finder. 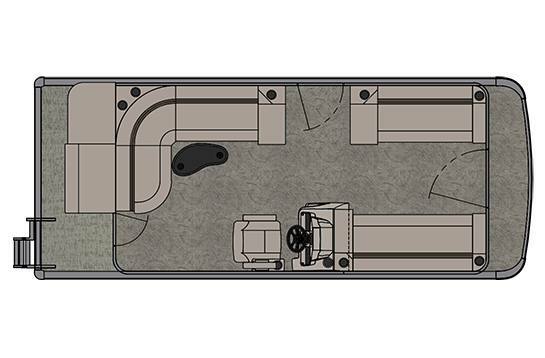 Polished Corner Caps, Underseat Floor Mats, Side Protector Keels, Greywood Kidney Table With Base, Privacy Area With Curtain, and 15 Gallon In Pod Fuel Tank. 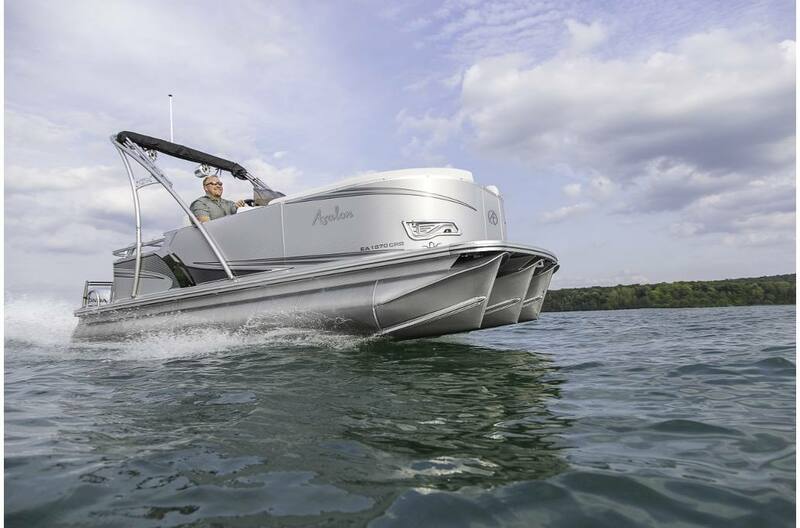 One of our most affordable pontoon boats, the easy-to-trailer Avalon Venture is also our most compact offering. 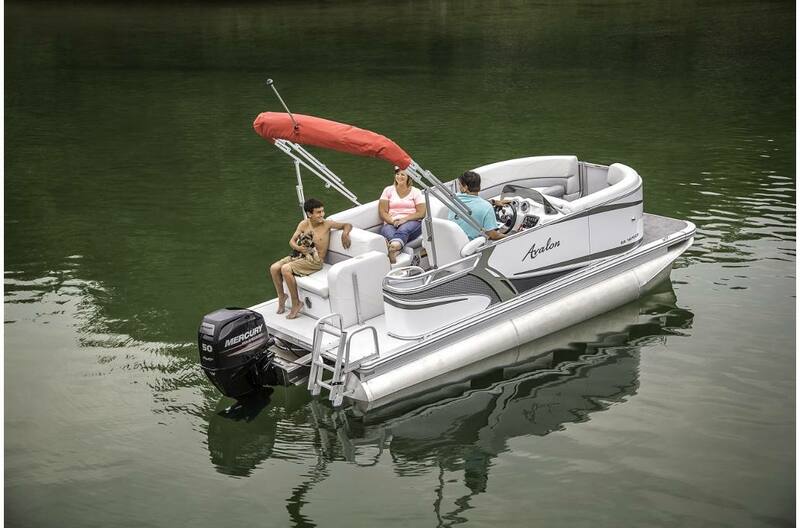 The Venture Cruise comes in at 8' wide, offering the luxurious design and rigid structure you expect from an Avalon. Enjoy high performance and elegance, like the tight handling of a sports car and the plush interior of a far more expensive boat.